This shipping container designed and built by artists Masakazu Shirane and Saya Miyazaki may look quite ordinary from the outside, but its interior will blow your mind! 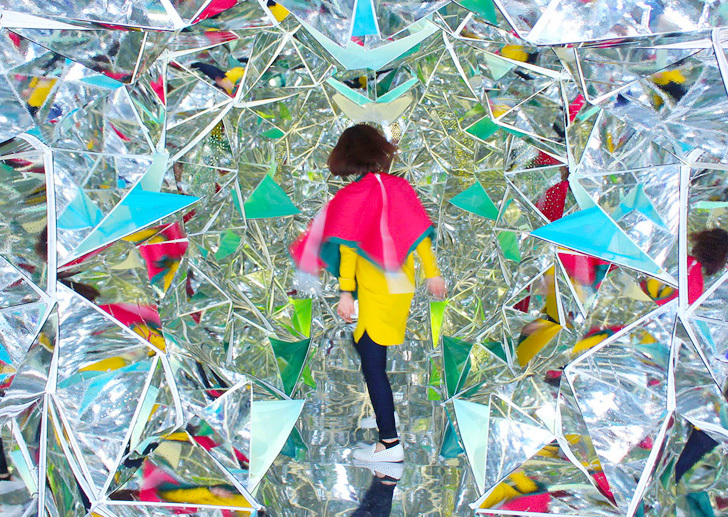 Like an origami-inspired kaleidoscope, the interior features 1,100 triangular mirrors that bend and reflect light. The garden installation premiered at the Kobe Biennial’s shipping container challenge and scooped the CS Design Award. We're not surprised! The polyhedron installation features the designers’ origami inspired zipper technology from 2007. They used digital 3D modeling tools to design and manufacture 1,100 panels that were then folded into a shipping container. The sides are connected with zippers and can be set up in just four hours. Meant to showcase the zipper technology, the installation can be accessed and shaped by the visitors who can affect its configuration by interacting with the elements and the zippers. 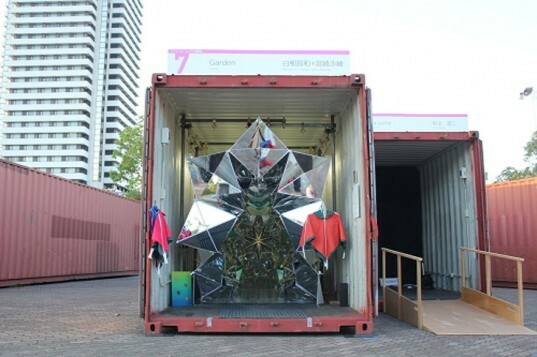 This zippable installation was first exhibited at the Kobe Biennial’s shipping container challenge in 2013, where it showcased the designers’ innovative technology. The polyhedron installation features the designers’ origami inspired zipper technology from 2007. They used digital 3D modeling tools to design and manufacture 1,100 panels that were then folded into a shipping container. The sides are connected with zippers and can be set up in just four hours. Meant to showcase the zipper technology, the installation can be accessed and shaped by the visitors who can affect its configuration by interacting with the elements and the zippers. This zippable installation was first exhibited at the Kobe Biennial’s shipping container challenge in 2013. It showcased the designers’ innovative technology.